the redesigned lexus es 300h hybrid luxury sedan will be cheaper to buy and cheaper to fuel for the 2019 model year. lexus released base pricing today, and the hybrid gets a $510 price cut from 2018 to start at $42,335, including a $1,025 destination charge. meanwhile, the epa mileage estimates are in and show a big jump to a 43/45/44 mpg city/highway/combined from the 2018's 40/39/40 mpg figures, which lexus says makes the es hybrid the most efficient luxury car you can't plug in. the conventional gasoline model shows up for 2019 with a higher price, up $550 to $40,525 with destination. but it, too, has a mileage gain (albeit more modest) along with more horsepower, to 22/33/26 mpg from the 2018's 21/30/24 mpg. get more details on the new es models here and driving impressions here. the most expensive lexus es model for 2019, however, will be the new es 350 f-sport addition to the lineup that will start about $4,500 more than the base es, at $45,060. you'll also have to pay slightly more at the pump, too: the f-sport model is rated 22/31/25 mpg. it adds sportier exterior and interior design as well as the option of adaptive suspension. 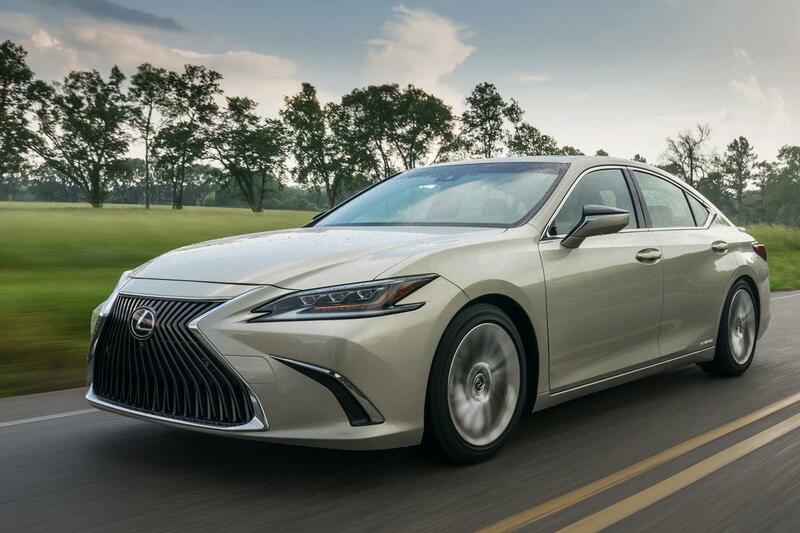 the es models ride a new platform for 2019, get updated tech and have new styling that aims to inject some pizzazz into lexus's bread-and-butter mid-size sedan. all gasoline-only models are powered by an updated version of its 3.5-liter v-6 that puts out 302 horsepower, an increase of 34 hp from 2018. it's mated to a new eight-speed automatic transmission. the gas-electric hybrid powertrain uses a 2.5-liter four-cylinder and an electric motor for a combined output of 215 hp.